As the electorate in Kwara State get set to elect their governor and members of the state House of Assembly, the political players in the state have embarked on last minute contacts and changing their strategies after the political Tsunami that befell the PDP recently. Observers believe that preparation by leading political parties in Kwara State is more intense now than during the presidential and National Assembly elections. This, according to them, is because majority of the opposition parties in the state adopted President Muhammadu Buhari as their candidate for the election. However, ahead of the gubernatorial and state assembly elections, the situation is no longer the same as many parties have introduced a trend of alliances. In the last few days, defections have become the norm as many groups and individuals move from one party to another. The major beneficiaries of the alliances are PDP and APC. Just after the February 23 elections, members of the ruling PDP in the state in their thousands defected to the opposition APC, the second of such major exodus from the party in one week after the crushing defeat it suffered in the presidential and National Assembly elections. In retrospect, the APC has cleared all the senatorial and House of Representatives seats in the state, a huge deficit for the hitherto ruling PDP that is still nursing the bruises it sustained. The mass defections took place in Taiwo area of Ilorin, led by Hon. Bamidele Aluko, a former Kwara State House of Assembly member and a staunch foot soldier of Senator Bukola Saraki. Meanwhile, the governorship candidate of ANRP in the state, Dr. Abdulmumeen Yinka Ajia, has declared his support for the APC candidate, AbdulRahman AbdulRazaq, saying the latter largely represents his dream about the state. Ajia said AbdulRazaq's victory will turn the page of the political history of Kwara. However, Saraki who has lost his chance of going back to the Senate, has urged his teeming supporters not to be discouraged by the outcome of the presidential and National Assembly elections in the state, but should troop out en masse to vote for the PDP in the governorship and house of assembly poll. Saraki, who was received at the Ilorin Airport, expressed confidence that the PDP has the number to emerge victorious in the remaining elections. Addressing his supporters at Charity House at his Iloffa GRA residence in Ilorin, the Senate president urged his people to close ranks and work in unison for the PDP in the governorship and house of assembly elections. Also, the Kwara North Leaders of Thought have expressed their readiness to work for the victory of the PDP candidate, Hon. Razak Atunwa. They maintained that it is only Atunwa's governorship that can guarantee the return of the seat to their zone in 2023. The leaders of thought, during a press conference in Ilorin, addressed by Alh. Abubakar Ndakangi, called on elders, traditional institution, youths and women and most especially the political actors to put Kwara North first in any political decisions they may be considering. 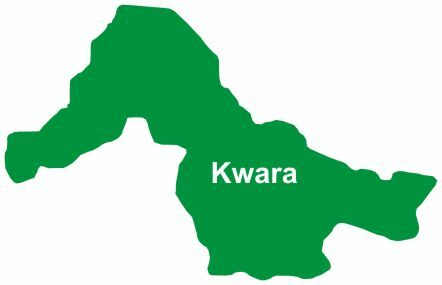 They reminded their kinsmen that while the leadership of the PDP in the state had entered into an agreement with Kwara North's leaders to the effect that power will rotate to the district in 2023, the opposition All Progressives Congress( APC) has kept quiet on the issue. Also in the race is the candidate of Accord Party, Prince Ayorinde Adedoyin, who urged the electorate in the state to look to a new direction by voting for the party's candidates if they actually wanted true change. Adedoyin described the 'Oto ge' (enough is enough) campaign slogan of the APC and 'Otunya' (we are just starting) of the PDP as "same contents in same bottles but with a different top." He said the genuine change the people of the state were craving for would be a mirage if the same sets of people who have been defecting from PDP to APC and APC to PDP were returned to power. The candidate of Labour Party, Comrade Issa Aremu, and that New Movement Party, Alhaji Yinka Oniyangi, have also scaled up their meetings with the people of the state to emerge victorious in the election. Apart from getting new members on their side, they are also engaged in different radio and television programmes to woo the electorate. Kwara State governor, Dr Abdulfattah Ahmed, has also joined in the train to canvass for the candidate of the PDP during his radio programme, 'Governor Explains', where he noted that continuity of his government will ensure completion of all the good work his administration started.